Forums Surface & Tech Deals Save up to €217 on select Surface Laptop models from Microsoft Store Spain. 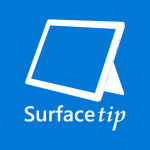 This topic contains 0 replies, has 1 voice, and was last updated by Surface Tip Admin 1 year, 1 month ago. If you live in Spain and looking for a great deal for Surface Laptop, now it’s best time to pick one up. Microsoft Store Spain has recently discounted on Surface Laptop with Intel Core i5 with 4 GB and 8 GB of RAM. Make sure to check it out before the deal is gone. Click here to get this deal from Microsoft Store Spain. If you don't have an account on our forums, you can use this comments section to share your issues, solutions, or any ideas related to the “Save up to €217 on select Surface Laptop models from Microsoft Store Spain.” topic.